#SternAdmonition: No, no peeking at Google! What is May Holman famous for? a woman whose untimely death inspired an astonishing outpouring of grief across Australia, earning a heartfelt eulogy from Prime Minister John Curtin. 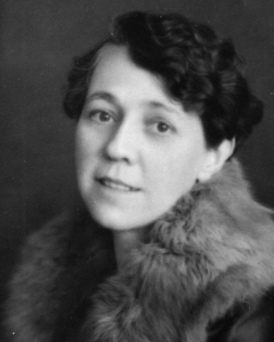 Maybe May Holman lapsed into obscurity because of the difficulties in writing her biography: there are some tantalising gaps in the documentary record. 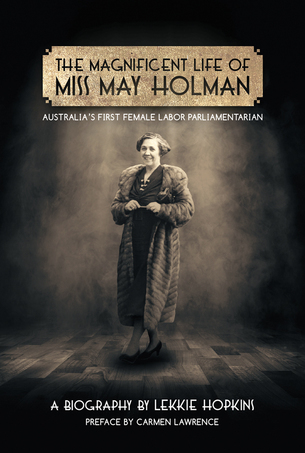 Former WA parliamentarian Dr Judyth Watson made a start back on a bio back in the 1990s but the task as completed by Lekkie Hopkins shows that some of the most intriguing aspects of May Holman’s life remain a mystery. Did she, or did she not meet the author Katharine Susannah Prichard, who lived and worked in WA in the same era and who published a novel about the same issue that most keenly interested Holman? Because Prichard published Working Bullocks in 1926, and because after her father’s death Holman took his seat in parliament representing timber workers, Hopkins thinks they must have had shared left-wing sympathies and thus this bio has three pages of conjectured conversation between them. There’s also a mysterious underage secret marriage which drove May’s father John Barkell Holman MLA into a violent rage at her 21st birthday party. Hopkins does her best to fossick out the truth of this, but at the end of the day we don’t know much more than that the possibly disreputable husband Joseph Peter Gardiner scarpered, never to be seen again, and May petitioned to divorce him for desertion five years later. The court documents make a point of saying that May always was a girl of unblemished character (which is code for early 20th century prudery, meaning that she was a virgin). And she never remarried. No hint of a lover, or even a potential male friendship. Only her devotion to her father, and a possibly obsessive relationship with her siblings, because she took an unreasonably dim view of it when they got married and broke up the family. There’s a veil drawn over May Holman’s mother too. Katherine Mary Rowe married young, when May was ‘on the way’, and managed to be active in the Labor Party as well as bear ten children. But it was May who was given guardianship of her little brothers and sisters when her father died, and Katherine appears to have become an alcoholic, and challenged her husband’s stingy Will before disappearing off to New Zealand, never to return. Enough of all that – what did May Holman do to earn the plaudits of the entire nation? Well, because she had worked as her father’s secretary before he died, she knew the ins and outs of the timber industry better than anybody, and she fought tirelessly to improve their pay and conditions. It was she who steered the passage of the Timber Industry Regulation Bill in 1926, researching and framing it to international admiration. (The ILO in Geneva requested a copy, and so did several American university libraries and legislatures around the world.) But she was not a single-issue politician. …Miss Holman sought justice for people on sustenance relief in the timber country, pointing out how devastating it was for people who had to prove total destitution before qualifying for sustenance relief. She cited case after case where the regulations discriminate in nonsensical ways: she told of the beekeeper who had been refused sustenance payments because he still had hives that might earn him an income; the young nurse who could receive no sustenance relief because she had a parent in part-time work; the families who had to wait till their few pounds in the bank were spent before seeking sustenance. (p. 182). You can see in the excerpt above that the author sometimes lapses into clunky prose, and sometimes her disappointment that May Holman was not more of a feminist leads the narrative astray. There are rather too many stodgy slabs of quotations from documents, and there’s a bit of repetition in content and phrasing that could usefully have been tidied up by an editor. Hopkins is not a gifted biographer like Brenda Niall or Jill Roe, but she has less material to work with than most and she has succeeded in bringing her most remarkable subject to life. A timeline of events would have been a useful addition to this book, but there are endnotes and an index, and there are plenty of B&W photos to enliven the text. Nathan is a PhD student writing a bio of Katherine Susannah Prichard and I am very much looking forward to reading it when it eventually hits the bookstands! ‘long overdue’ yes, sadly herstory rarely appreciated by history. Thanks again for your excellent insight and summary, Lisa. Mairi, you would be the one person I know who would have known about May Holman! Yes, the author says, again and again, that she adored him. He was certainly a larger-than-life figure.